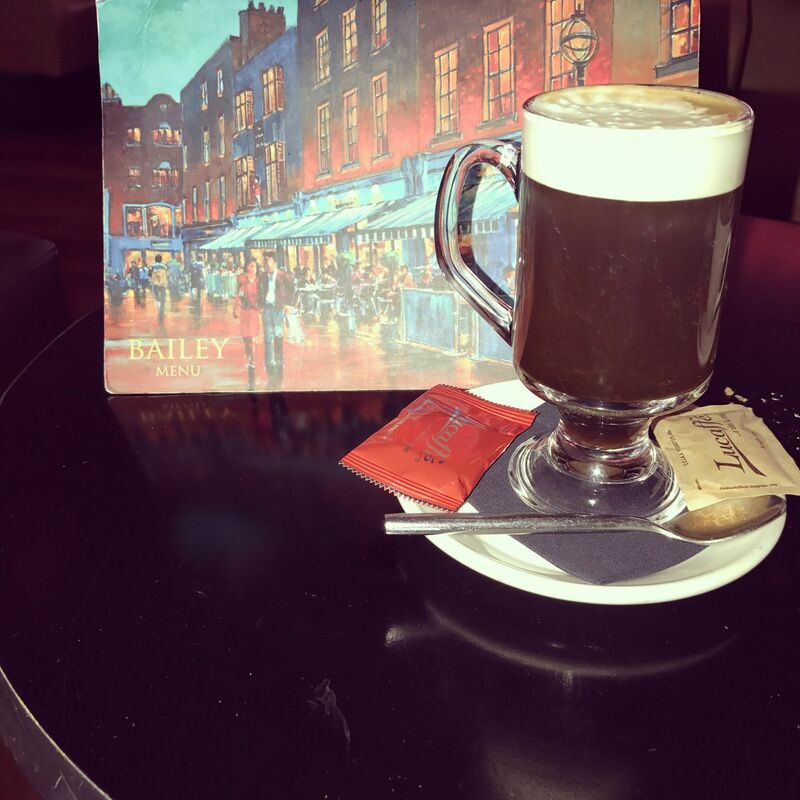 I can’t blog about Dublin and not write a post about the Bailey bar on Duke Street! Whenever I am in the city I always pay a visit here and its one of my favourite places to spend a few hours of the day. 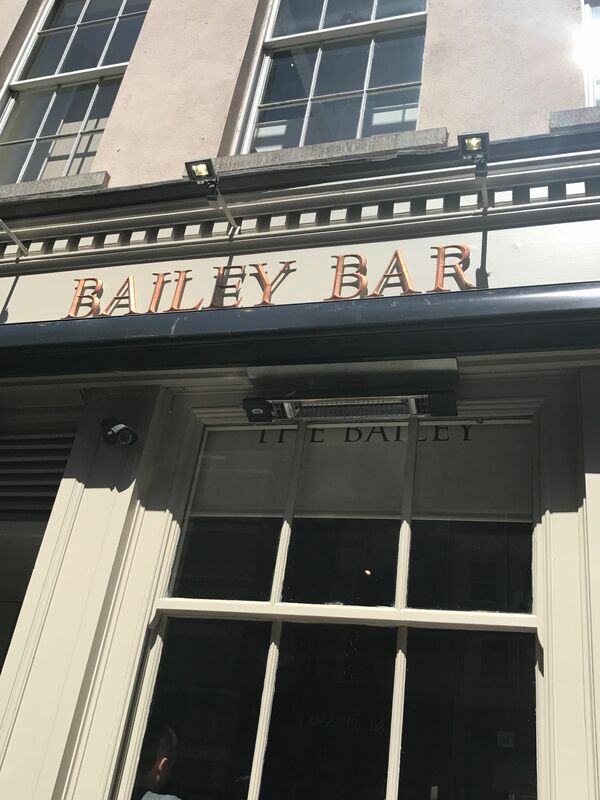 The Bailey Bar is a really nice bar and café just off Grafton street with a lovely outdoor seating area that’s perfect for a spot of people watching over a nice chilled glass/ bottle of wine! – I can think of worse ways to spend an afternoon! 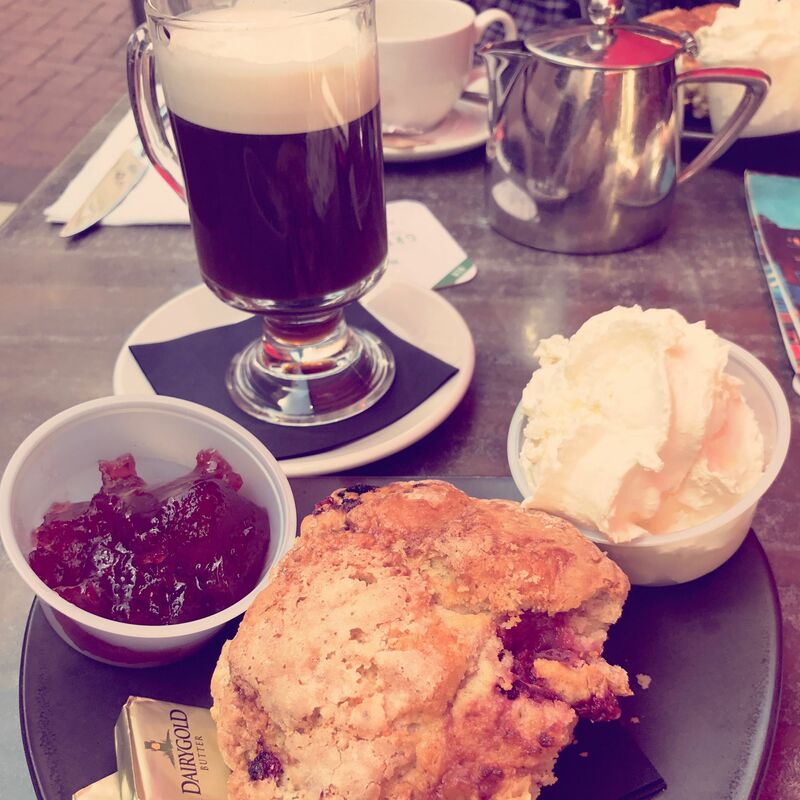 During the evening they have live music sessions with local musicians that come and play a set and its really nice to sit and enjoy a cheeky cocktail or a whiskey or 2 and catch up with friends whilst enjoying the atmosphere and the lovely vocal tones of a handsome Irish man singing away at you! What more could you want! #perfect! The venue itself is very central on trendy Duke street right by the infamous shopping district Grafton street, you can really get a feel for the buzz of the area and the feel of the city with its laid-back vibes and cosy atmosphere that echo’s the warmth of the people of Dublin in this amazing city which is absolutely reflected in the Bailey’s staff members who are always warm, welcoming and friendly from the moment you step in the door. The interior has a lovely modern, contemporary feel with leather couches and seating and nice background music to sit and enjoy and the outdoor terrace has blankets and outdoor heaters, so you can even sit outside when the weathers that bit colder and enjoy the atmosphere and the sights and sounds of Grafton street. 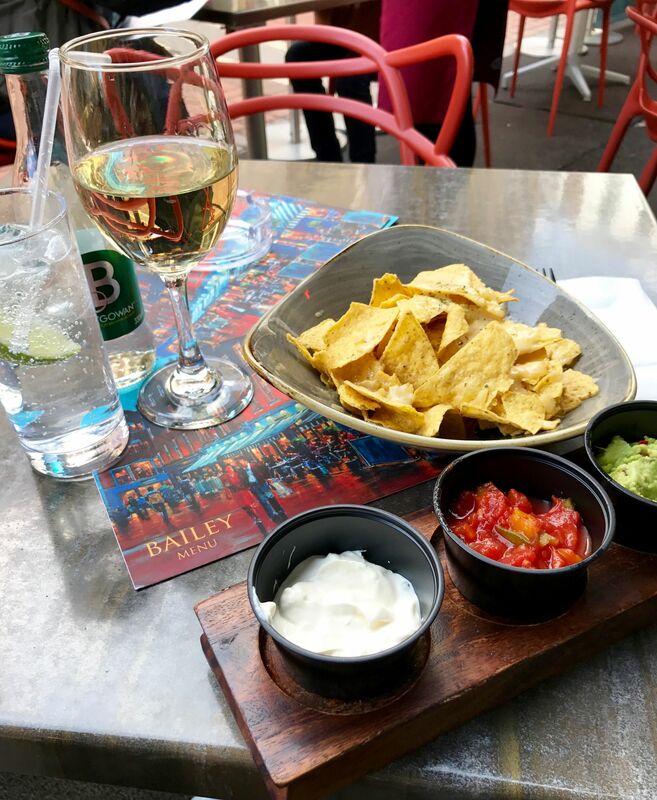 It’s very popular with locals and tourists alike so there is a great buzz about the place too, especially around lunchtimes and early evening with the after-work crowd. 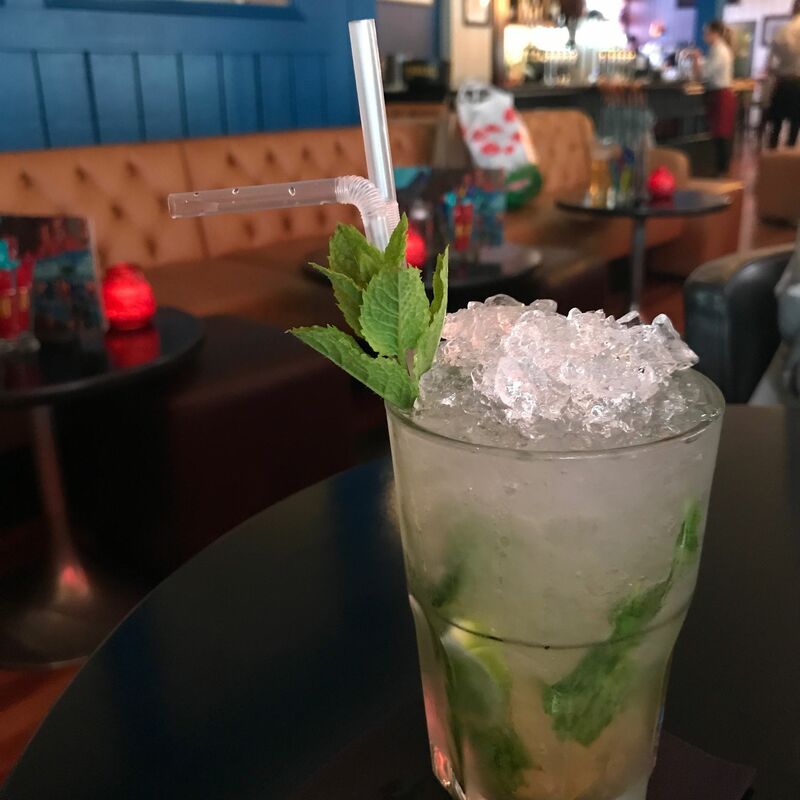 When I went over to Dublin for my birthday in August I was also lucky enough to have won one of their weekly Facebook competitions where I won a meal and drinks for two which was lovely, I had a Mojito (of course!) – well it was my birthday after all! 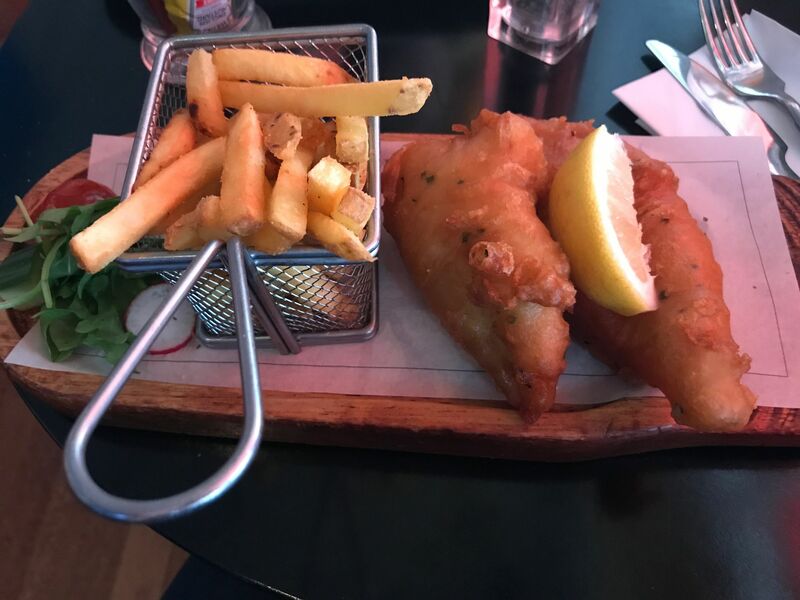 Followed by the fish and chips which were really good and very well presented, great portion size too – I was so full I had to skip dessert – this does not happen often!! None the less it was a lovely afternoon and a very nice edition to my birthday trip, not to mention another great visit to the Bailey Bar.